Get comfort and support from the brand you trust with the Fruit of the Loom Strappy Women's Sport Bras, 3-Pack. Made with 2-ply cotton Lycra material for coverage and support, this Fruit of the Loom sport bras pack is a wise buy for active females. 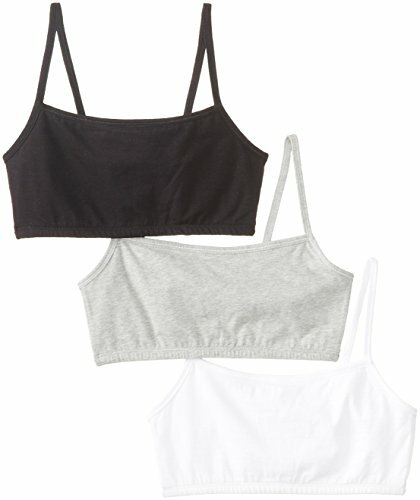 Whether pursuing your fitness objectives or just looking for a comfortable alternative to conventional bras, this 3-pack of strappy cotton sport bras is for you. 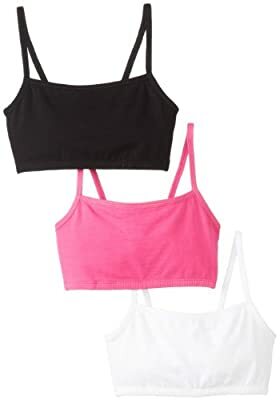 Designed with a full-coverage crop top neckline, the Fruit of the Loom Strappy Women's Sport Bras can be shown off under t-shirts and tanks for a cool flash of color. The smooth lines of these cotton sport bras make them versatile undergarments for sportswear and exercise wear. Readily available in various colors, you can select the pack that best fits your design. Whether in useful neutrals or fashionable pastels, you'll discover the Fruit of the Loom sport bras that are perfect for you. 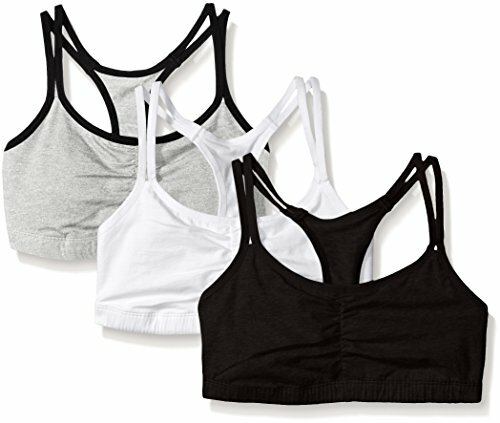 Add the Fruit of the Loom Strappy Women's Sport Bras, 3-Pack to your closet today.